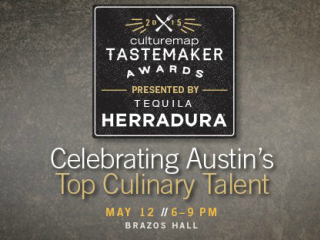 CultureMap is proud to host the fourth annual Tastemaker Awards, celebrating the top talent in Austin's food and drink community. Guests will sample bites from some of Austin's finest restaurants, including 416 Bar & Grille, Apis Restaurant & Apiary, Arro, Fixe, The Hightower, Jacoby's, Kin & Comfort, Noble Sandwich Co., Parkside, Sala & Betty, Swift's Attic and Black's BBQ, just to name a few. Your ticket price includes bites, beverages and valet parking. Ahead of what has become one of our favorite parties of the year, we'll introduce you to all of the nominees. A trusted panel of judges, including influential members of the Austin culinary community and past winners, selected the nominees.